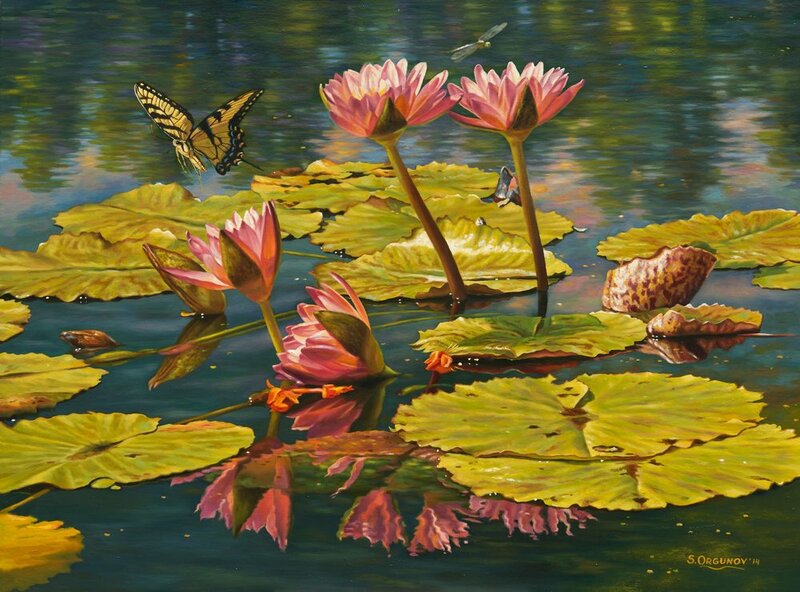 This award winning oil painting by Sergei Orgunov,"Red Water Lilies", is just stunning! It measures 41"x 51" framed. Perfect for the home looking for a signature piece. Sergei has the unique ability to capture any subject and mood in incredible detail. We invite you to Thibault Gallery to see this painting along with many others. We are located at 815 Bay Street, Beaufort, SC.